STOLEN FROM ONE BARK AT A TIME: "Wednesday night, I'm told, there is going to be a live debate broadcast on CP24 at 9 (but check your listings to make sure about this) between an FOC candidate and an STHS candidate. While I enjoy a lively debate, I suspect that STHS is going to stick David Turnbull, their spokesperson, in front of the camera to rep their side because he's a seasoned pro, being a politician and all, and if he's a good politician, he'll be able to talk his way around anything and come out sounding good but saying nothing. Let's hope substance wins over style tomorrow night." To my mind STTHS is playing a shell game, trying to distract from the fact that they do not have a concrete plan for dealing with THS and to play on the emotions of the people upset by the OSPCA situation. Remember that the THS situation was FAR worse, with animals left to die in agony in their cages. 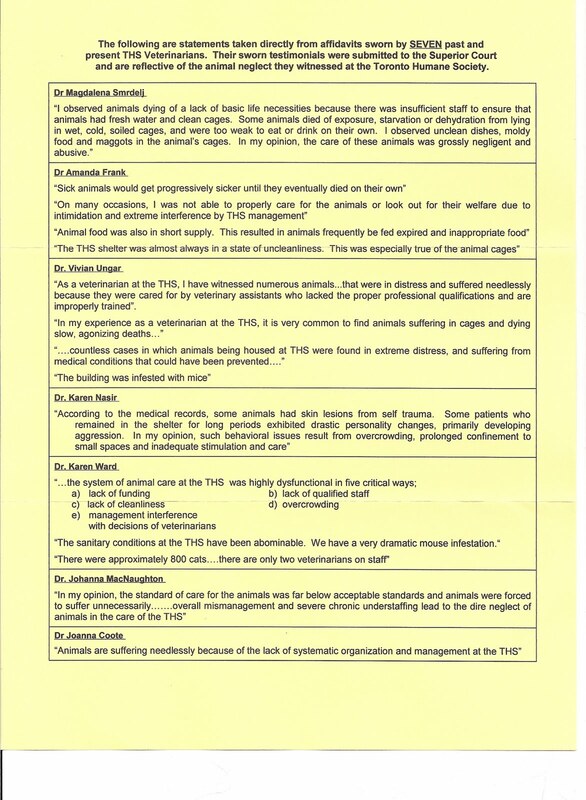 STTHS should get their priorities in order, back off from anything involving the OSPCA and deal with the issues on the THS doorstep. Last time I was in THS, it stank to high heaven and it wasn't just animal waste that stank. If there's a call-in portion, call in and hammer STTHS for their specific plan for dealing with THS. 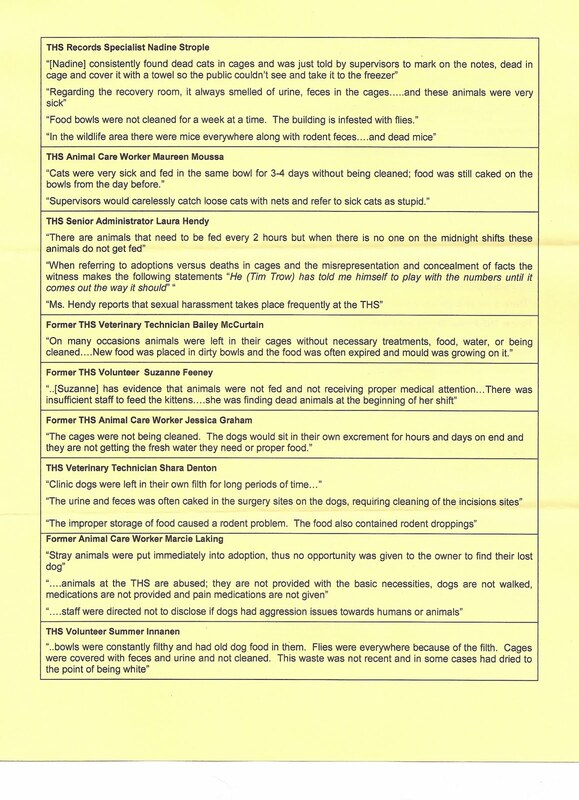 Tell them to can the "ideologies and politics" smoke and mirrors bullshite and let members know exactly how STTHS plans to deal with the financial situation of the shelter, animal intake, euthanasia. Ask how "ideologies and politics" killed Casper in the ceiling. I have LOTS of ideas for other questions. Don't let 'em try to fob it off with a "ooh, the managers will do that." 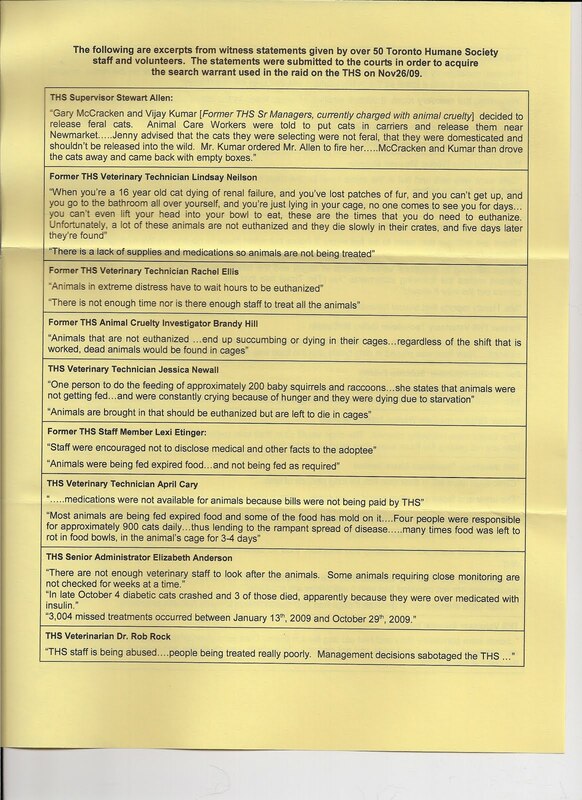 If the managers can do everything, why do the shelter and the animals need STTHS? The dishonesty, deceit, misrepresentation and malice going on while people grasp at straws to try to stay in power have the stench of desperation about them. The ONLY group behaving honourably is the Faces of CHANGE slate. 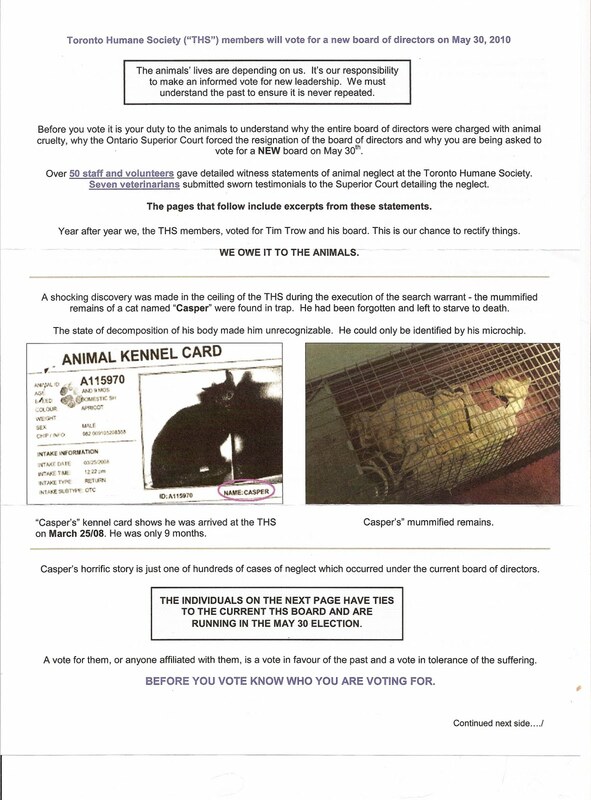 Tailspin has an eloquent post about why members of the Toronto Humane Society should vote for the Faces of Change slate. Tailspin's first paragraph really resonated with me; it's a sickening feeling watching the dark side overtake the light. Addendum: One Bark At A Time has a very thoughtful post on the election issue. 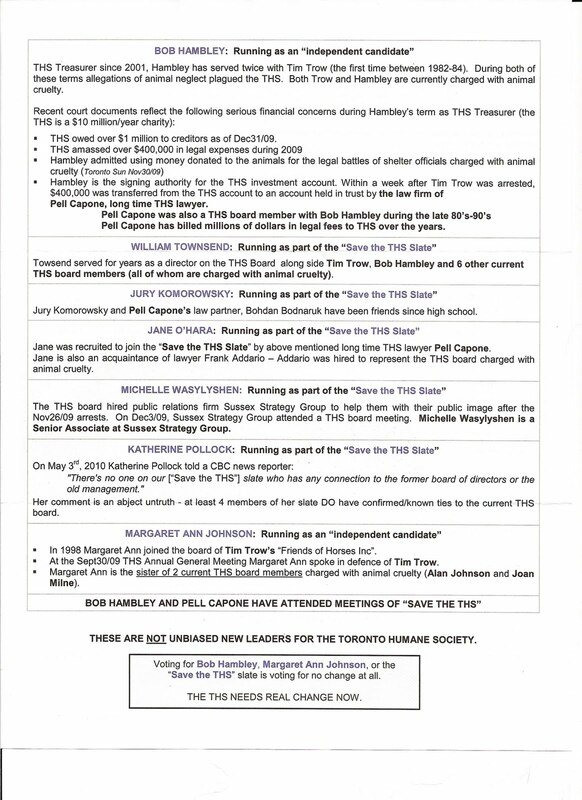 A friend received a mailing from "Concerned Members of Toronto Humane Society" in the same vein, reminding people of why the old must be swept out forever and the new brought in. I was given a copy of that mystery mailing also. A cursory glance of it shows me that a lot of what is alleged there is no doubt true and can be easily backed up. What I find offputting, however, is the fact that it is a "mystery" mailing. I've spoken to several people who received it (including a couple of FOC candidates) and they are mystified as to who sent it. I think in the interests of maintaining integrity and much-needed transparency (as a dierct contrast to the other slate)- "mystery" mailings MUST stop - no matter how valuable the information. Otherwise, it smacks of subtrefuge and throws a questionable light on the integrity of the person who sent it. Simply be upfront if you have good, provable information. 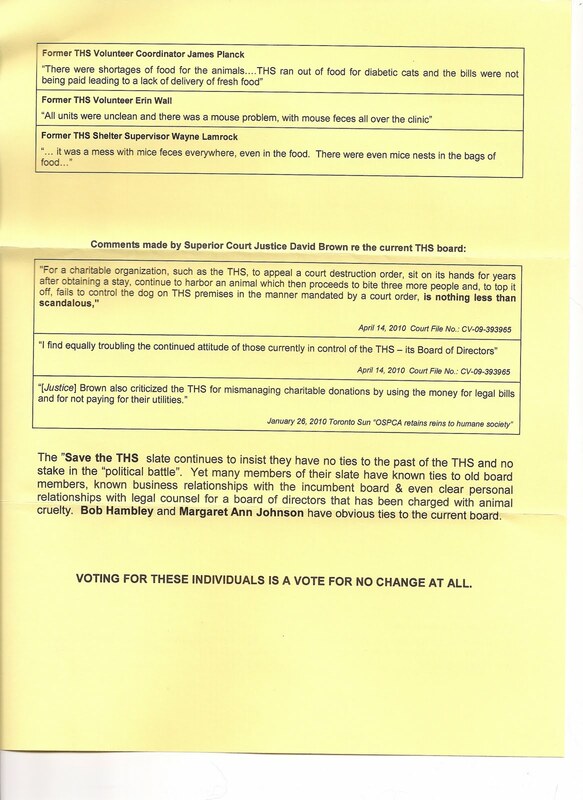 I don't disagree with you about the mystery mailing; however, my thought is that whoever sent it was concerned about the litigious nature of the current THS board. The current board (Hambley et al) have a history of spending donor dollars on sabre-rattling letters and starting lawsuits for no good reason that I can see other than to try to silence critics. Two good examples are (1) the threatening letter THS sent to Toronto Cat Rescue over remarks made by a private person, and (2) the lawsuit against Lee Oliver. Perhaps the senders just didn't want to be caught up in that, emotionally and financially.